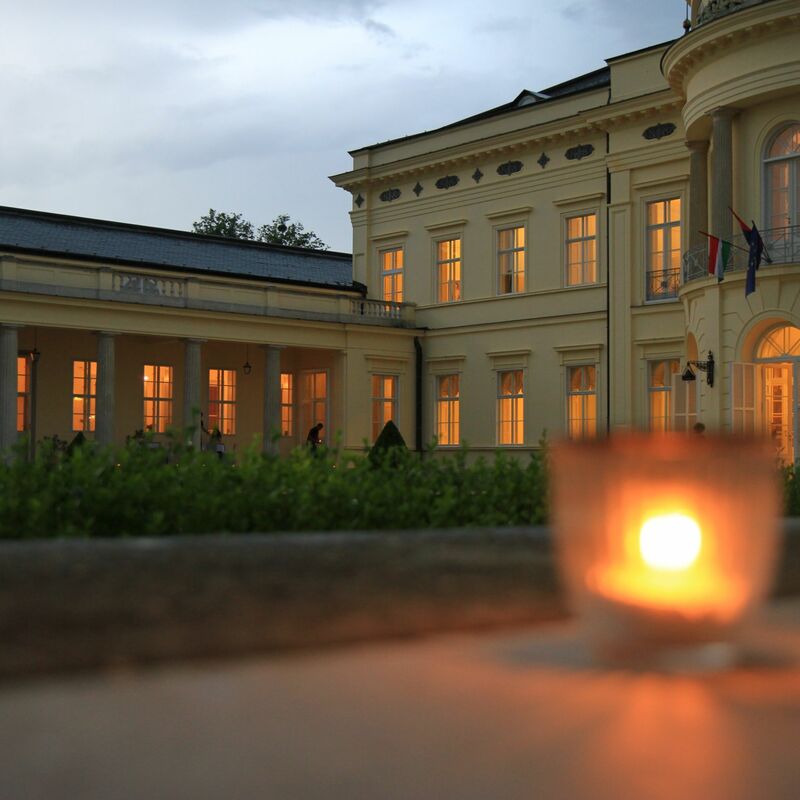 The Károlyi Chateau is situated in the village of Fehérvárcsurgó, in the west of Hungary, off the RN81, some 80 kilometres from the centre of Budapest, 110 kilometres from the Liszt Ferenc international airport and 120 kilometres from the Austrian border. 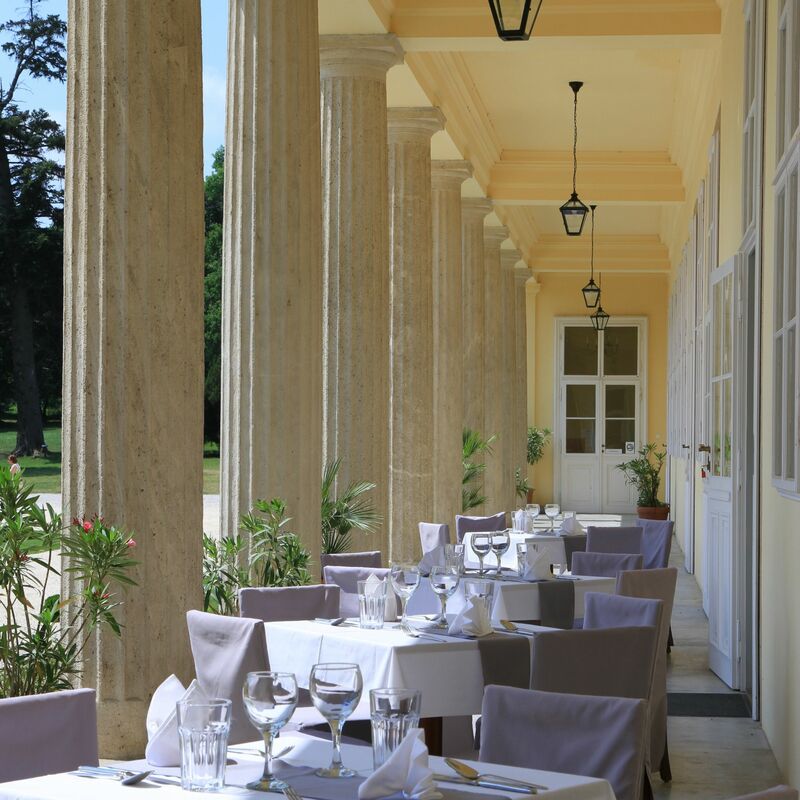 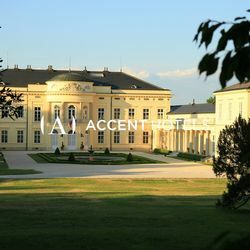 60 kilometres from Lake Balaton, it is set in gently rolling countryside, close to the beautiful baroque town of Székesfehérvár where in former times Kings of Hungary were crowned. 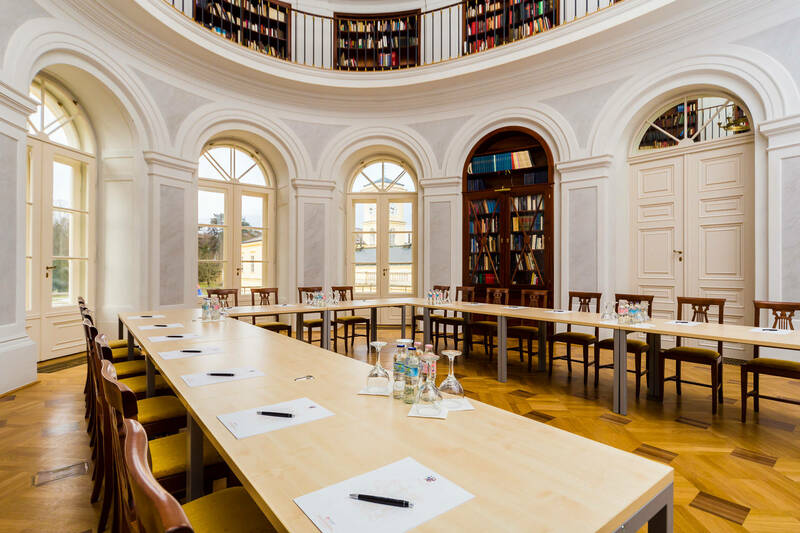 The Károlyi family chateau, a historical monument built in neo-classical style in the middle of the nineteenth century, is the jewel of the neighbourhood. 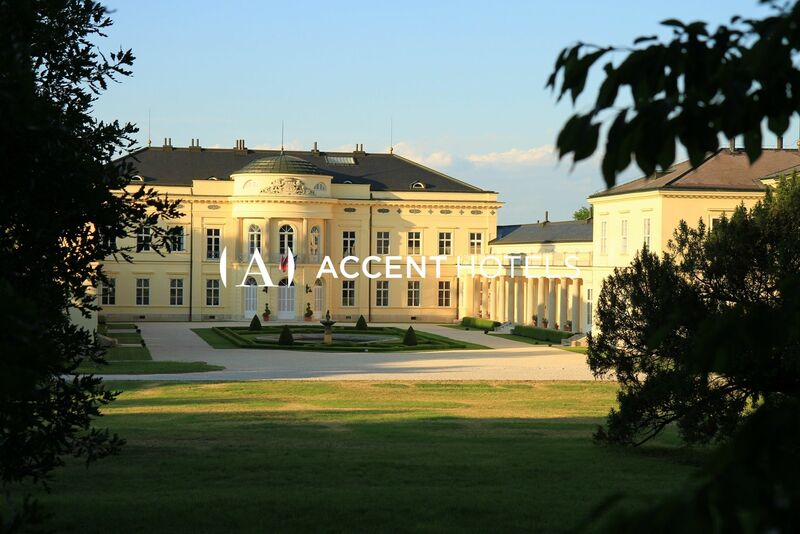 Its 6,000 sq metre estate, including 50 hectares of protected parkland, offers unlimited opportunities for events of all kinds, both indoor and in the open air. 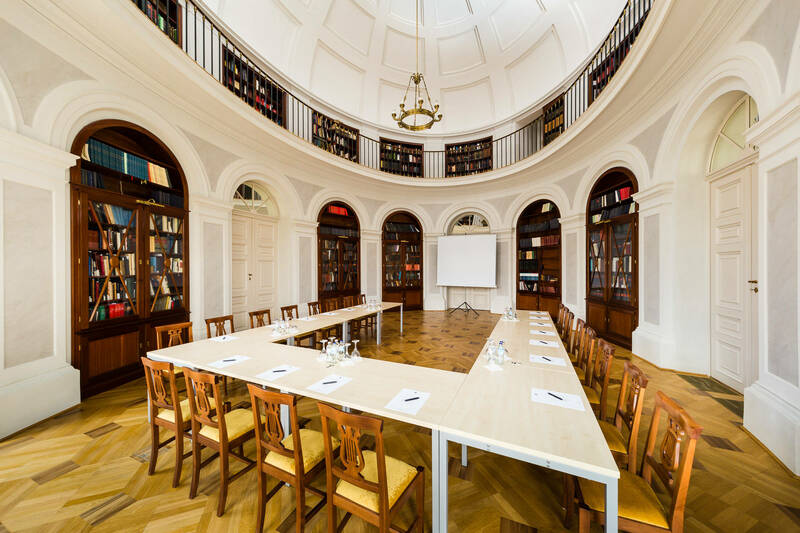 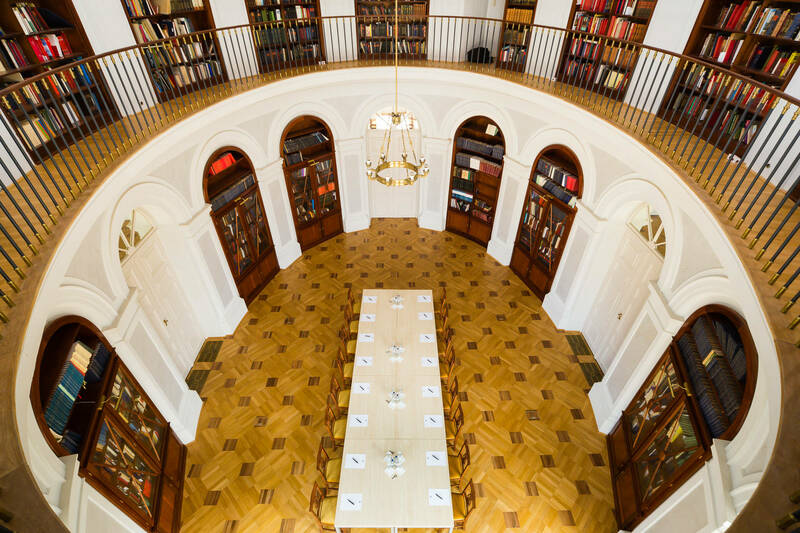 The building now consists of twenty bedrooms, several libraries richly stocked with books on the social sciences, eight meeting and conference rooms, of different sizes and fully equipped, a 500 sq.metre baroque cellar, and a restaurant seating eighty people.